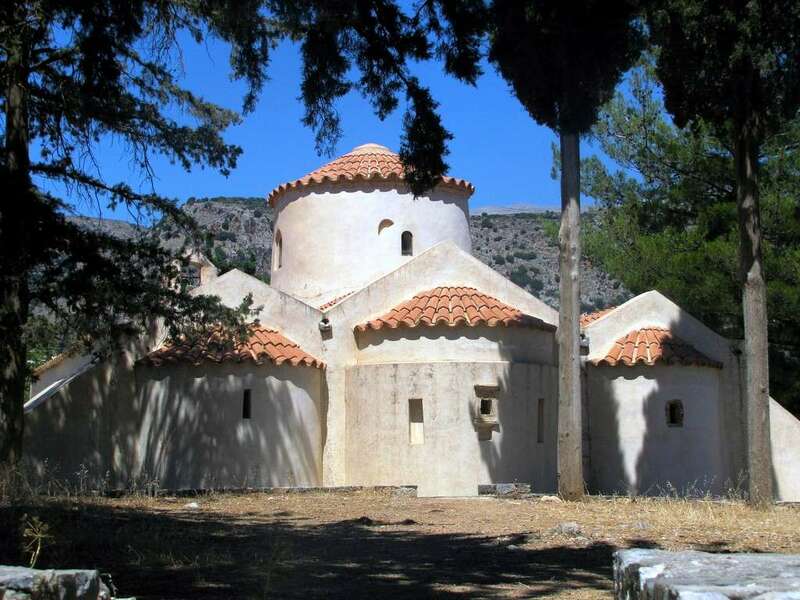 A kilometre east of the beautiful village of Kritsa, lies the three-aisled church of Panaghia (“All Holy”, a name often given to the Virgin Mary) Kera. Many 14th century frescoes can be found in the central nave, but the most famous icon here is actually an 18th century copy of one that was painted far earlier, and stolen in 1498. The central aisle is the oldest, and is dedicated to the dormition of the Virgin Mary, its dome has four separate depictions from the gospels, when more ordinarily one would expect God to be beaming down upon one. The north aisle – dedicated to St. Antony – and the south aisle – dedicated to Saint Anna – were later additions to the church. Some of the original frescoes have been restored from their originals, which were sadly destroyed by fire.